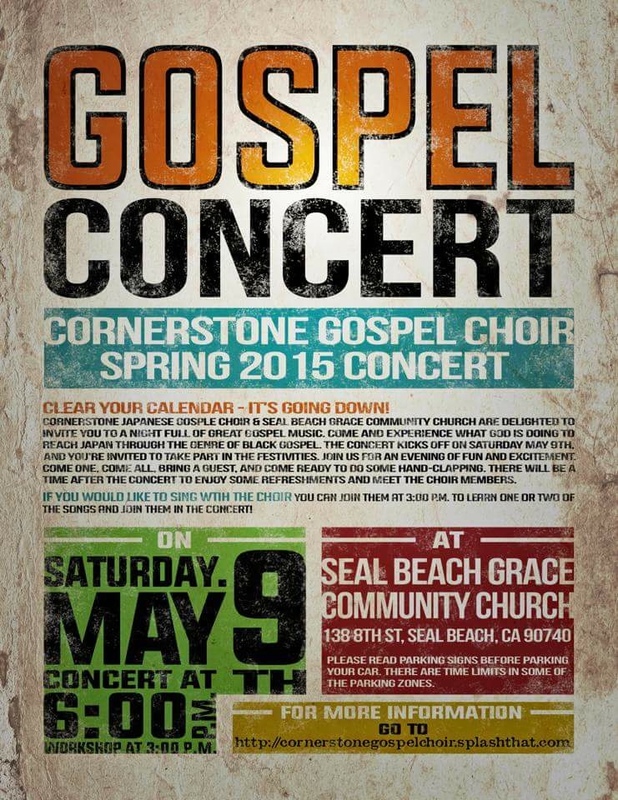 Cecil O’Dell, who works with Japanese Ministries of Greater L.A. (and Encompass World Partners) shared about the upcoming Gospel Choir concert in his recent newsletter. 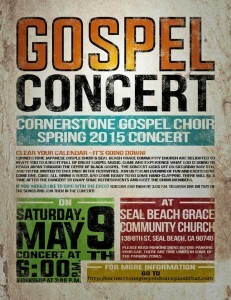 The concert is at 6 p.m., May 9 at Grace Community Church, a Grace Brethren church in Seal Beach, Calif. (Steve Williams, pastor). Click here for more information. Below is a video clip about the upcoming concert.